This is Jim Spickard’s courseware site. Here is some information about him. I was born and raised in Seattle, before the “coffee era” — and before the gentrification that hit the city sometime after I fled south. I got a good education at public schools in the multi-ethnic Central District (Garfield High, class of 1966). In college, I discovered peace activism and a life-long concern for social justice. I graduated in 1970 with a B.A. in Intellectual History from Stanford and a second “degree” from the Palo Alto Police Department for “willfully and maliciously blocking a public street or sidewalk”. I went right into grad school but dropped out after finishing my M.A. because I needed to grow up. I worked in various theater companies in the San Francisco area for several years before finishing my Ph.D. in the Religion and Society program of the Graduate Theological Union. I taught my first college course in 1973, for the College of Notre Dame in Belmont, California. In the years since, I’ve taught courses on anthropology, sociology, philosophy, religious studies, and photography at various schools, including CND, Gavilan College, the Institute for Transpersonal Psychology, Fielding Graduate University, and — since 1989 — at the University of Redlands. Most often, I’ve gotten jobs because I can teach research methods and design, though I prefer teaching theory. No matter: teaching is a lot of fun. I live in Redlands, California half the year and spend the other half living outside San Antonio, Texas. This split schedule feeds both my teaching and writing. I love writing. At this point, I’ve published six books, over 70 journal articles and book chapters, and a bunch of other stuff. There’s more in the works. 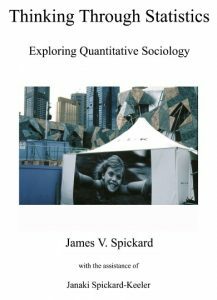 Spickard Academic Vita — March 2019 The vita contains open access links to some of my publications. Check out the Course Pages on the CoolSociology site to download some of my teaching materials. 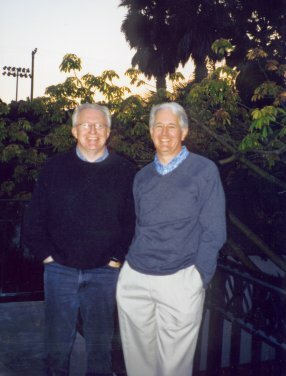 Jim (on the right) with his brother Paul, who teaches ethnic history at the University of California at Santa Barbara. Click on a book cover to purchase a printed copy from its publisher. 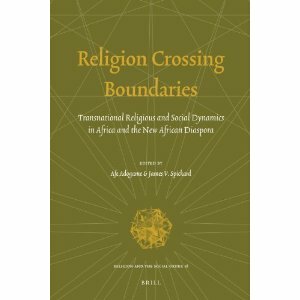 This collection of essays explores the recent growth of transnational religious networks that connect African peoples with each other and with other parts of the world. Topics include: the transnational spread of new African Christianity, transnational Pentecostalism, religion’s role in transnational migration, tri- and multi-national religious trade networks, and the consequences of having transnational religious connections for Africa itself. Volume 18 in the Association for the Sociology of Religion’s Religion and Social Order series. Most statistics books bury you in math. 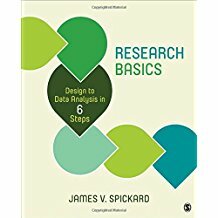 This one starts with “Why Bother?” Through concrete examples, it shows how to identify the data you need, how to organize that data for analysis, how to choose the right statistical routine, and how to interpret the results. Together with the its companions software, Thinking Through Statistics leads you step by step through the process of statistical reasoning. This collection presents some of the finest historical writing ever produced: by historians from all parts of the globe, and from 3000 years ago to the present day. Designed to accompany college courses in World History and in Historiography, it was the first reader to bring non-Western historians into the canon. It includes biographies of and sample passages from 56 historians chosen for their excellence and their diversity. Many of my articles are posted on the University of Redlands’ “Our House” open-access archive. 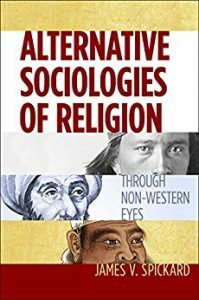 “Member Interview” on Alternative Sociologies of Religion SocRel News, Issue 6 (the newsletter of the Sociology of Religion Section of the British Sociological Association). “In Conversation with Jim Spickard” by Afe Adogame. Newsletter of the International Sociological Association’s Research Committee on the Sociology of Religion 10/11: pp 5-9, Jan 2013. “Hver Mand Sin Gud” (“Every Man His God”) — an interview with Tine Eiby Bragt in the Weekendavisen (Denmark), 12/23/03 An extensive newspaper interview about my 2003 lectures at the University of Copenhagen. In Danish with a Google Translate English version appended. My article “Simulating Sects” is based on a computer simulation. You can download a copy of the article from Our House, the simulation HERE (Windows) and the source code HERE. The related simulation “Choosing Neighbors” is HERE. Download free Windows software for teaching social statistics HERE.